The EuroMillions is Europe’s biggest lottery because of the amazing prizes it offers each draw. Not only does it have the highest jackpots, but it also offers the most prize categories, which makes it the top choice when it comes to European lotteries. Here is everything you need to know about EuroMillions prizes. The EuroMillions jackpot starts out at €17 million, which is the minimum amount for the first prize. With each draw when there are no jackpot winners, the amount of the jackpot is increased. The highest it can get is €190 million. This is the cap jackpot for the EuroMillions lottery. The EuroMillions jackpot can stay at €190 million for four consecutive draws. If there are still no winners during these four draws, the jackpot amount is split between the winners of the next prize category. Up to this point, the €190 million cap has been reached three times. The first time was in 2012 and the maximum prize was scooped by Gillian and Adrian Bayford, who are probably the best-known EuroMillions winners. The second time the jackpot reached the cap was in 2014 and the prize was won by a Portuguese player who decided to remain anonymous. In October 2017, the jackpot got to €190 million again and this time, it was won by a player from Spain, who also decided to stay anonymous. The EuroMillions offers 13 prize categories in total, including the jackpot. This means that there are as many as 12 other prizes to win in the game aside from the top prize. In the table below, you can see the entire prize list for the EuroMillions. All of the EuroMillions prizes are pari-mutuel, which means that the total amount of the prize is shared equally between all the winners of that prize category. For each prize tier, the EuroMillions has assigned a quota of the EuroMillions prize fund, which will be distributed evenly to all the winners of that prize category. The lower prize categories have a larger percentage of the prize fund because these are likely to have more winners than the top EuroMillions prizes and each of them should get a worthy prize. The odds of winning the EuroMillions may seem quite steep, but compared to other European lotteries, they are actually worth taking on. For instance, with each EuroMillions ticket, you have 1 in 139,838,160 chance to win the jackpot. Compared to the 1 in 622,614,630 chance you get to win the Italy SuperEnalotto jackpot, winning the EuroMillions jackpot is a far more achievable goal. When you play EuroMillions online, you can try out some play strategies that can boost your chances of winning. Play with a EuroMillions syndicate to enter the draw with more tickets, all at a fraction of the cost. 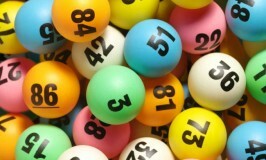 You can also play with every possible combination of your lucky numbers with systematic forms. This will boost your chances and get you more prizes if you match the winning combination. These are available on theLotter, the world’s leading lottery messenger service.